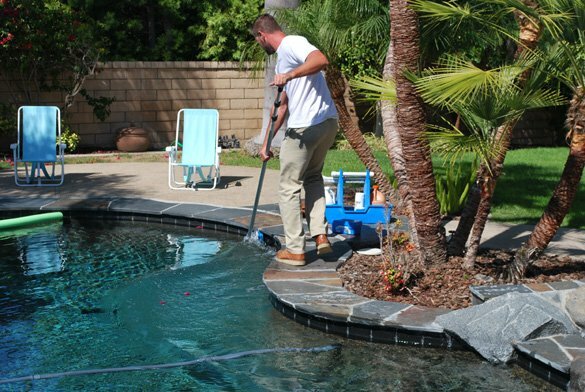 This is one of our swimming pool service accounts that we maintenance on a weekly basis located in the Carmel Valley area of San Diego. The swimming pool has an attached raised spa that spills over into the pool. Both the pool and spa have a pebble surface, dark pool tile and a natural stone coping. 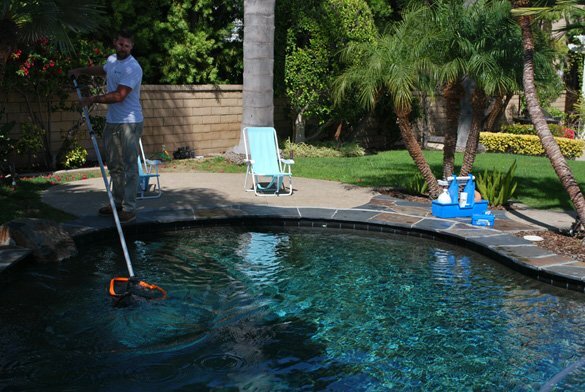 During our weekly pool service, we test and balance the water chemistry, skim the pool surface, clean the pool tile, vacuum the pool floor, empty the skimmer basket, Pentair whisperflo pump baskets and inspect the pool equipment for any issues. 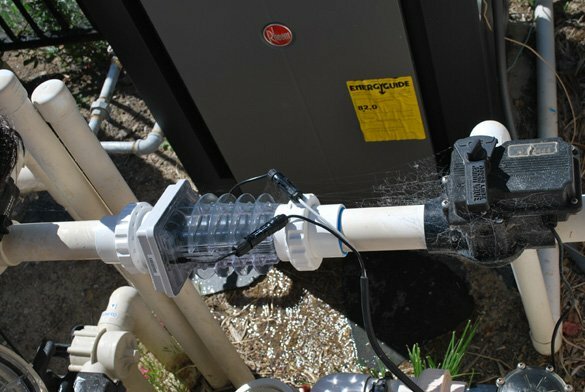 This pool service account has a PureChlor chlorine generator salt water system. The salt cell is inspected on a regular basis and the cell is cleaned when needed. The salt levels are also tested on a regular basis as part of our swimming pool service. 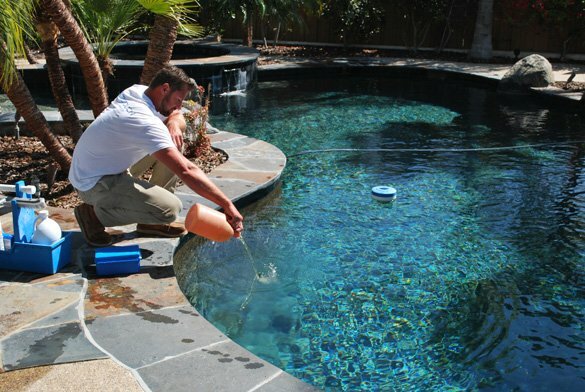 We also perform swimming pool equipment repairs and preventative maintenance. A new Raypak heater was recently installed by our service repair technician. 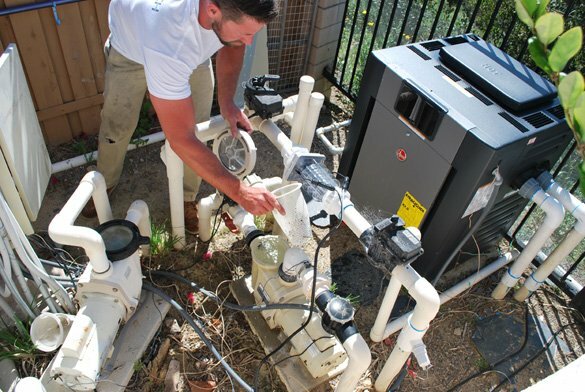 Pool filter cleans are performed as needed, usually two to three times a year. ProTouch ensures that the pool and spa are clean and safe to use all year round.